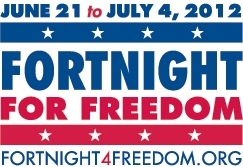 All are invited to a special Fortnight for Freedom event sponsored by the Diocese of Dallas. The evening will begin with the 5:30 p.m. Vigil Mass at St. Rita, 12521 Inwood Rd, Dallas, with celebrant and homilist Monsignor Robert Coerver, V.F., followed by a free dinner program in Sweeney Hall, presented by Frank Valenzuela of the St. Thomas More Society, the Catholic Lawyers’ Guild, and closing with the Litany for Liberty (USCCB). USCCB – Today the United States Supreme Court issued a decision upholding as a tax the provision of the Affordable Care Act (ACA) that requires individuals to purchase a health plan – the so-called "individual mandate." For nearly a century, the Catholic bishops of the United States have been and continue to be consistent advocates for comprehensive health care reform to ensure access to life-affirming health care for all, especially the poorest and the most vulnerable. . . . The bishops ultimately opposed final passage of ACA for several reasons. YFL Boot Camp is total pro-life immersion for high school students, ages 14-17. Session 2 is from July 27-31. The theme is Should We Boldly Go Where No Man Has Gone Before? with keynote speaker Rev. Tadeusz Pacholczyk, Ph.D. (Fr. Tad) of the National Catholic Bioethics Center. Those who cannot attend the D.C. events are welcome to support this effort locally through prayer and fasting. For more information and Church teaching concerning the death penalty, visit prolifedallas.org/deathpenalty. The Centers for Disease Control and Prevention released a report this week which analyzes trends in pregnancy rates, birth rates, and abortion rates since 1990. Both the CDC and the Guttmacher Institute frequently release data on the incidence of abortion. In April of this year, Dallas Catholic Pro-Life Committee head Karen Garnett participated in a videotaped panel discussion with Kenneth Lembrecht, CEO of Planned Parenthood of North Texas. Also participating were Dianne Edmondson, executive director of the Republican National Coalition for Life, and Stephen McKernan, DO, who runs a federally qualified health center (FQHC) in Texas. The program aired June 24. The discussion centered around Texas’ defunding of Planned Parenthood and its impact on women’s healthcare. Edmondson and Garnett did a superb job of exposing the lies of Planned Parenthood, while Lambrecht continually repeated all the canned messaging of PP, patting himself on the back for running “the most trusted provider of healthcare services” and saying that women will be deprived of healthcare if Planned Parenthood ceases to be funded. . . . Read entire article You can [watch] the 28-minute show and chime in with your comments here.